Passo Genna Silana (1000 mt. a.s.l. ), Passo Orostode (1100 mt. a.s.l.) and Passo Corr’e Boi (1250 mt. a.s.l.). It’s April 2, ready for the challenge! 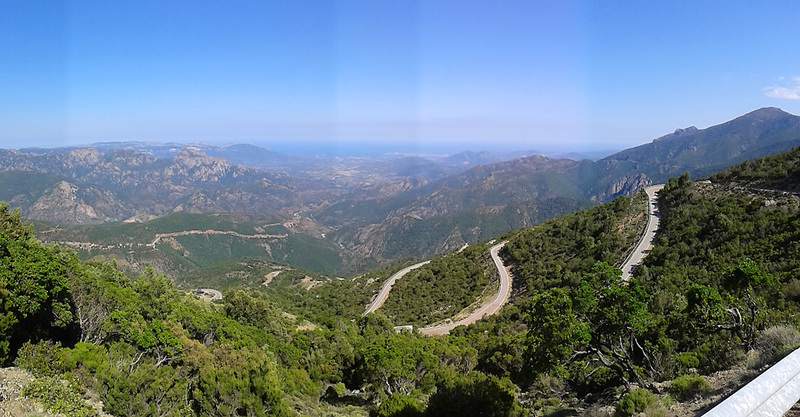 Soon after leaving the hotel we’ll be riding on the epic road ss125, a real iconic cycling itinerary of Sardinia, thanks to low traffic and dramatic views. An incredible terrace on the Supramonte slopes, with incredible views over the Oddoene valley, the canyon of Gorroppu and a patch of blue sea just before the top. 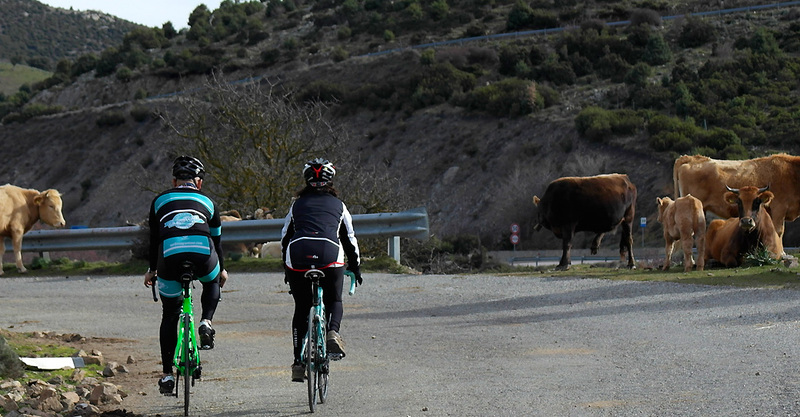 We’ll stop at the nice bar at the pass, a natural meeting point for road cyclists and bikers. After few relaxing km of easy downhill, we’ll leave the ss 125 road heading towards the Gennargentu mountains. When the game gets tough the tough get going…a marvelous climb with alpine style hairpins and wide ocean views. According to the figures it doesn’t look that hard, but the last kms are challenging, with some stretches at 10% average gradient. If you see the Virgin Mary don’t get scared, it’s true. Yes, there’s a small statue overlooking the whole landscape, perfect spot to take a pic and rest a bit. After two km of flat road dominated by the Gennargentu range, we’ll get to S’Arcu e S’Orostode pass, with a spring of fresh water. There’s something magical in this place, probably because since ancient times it was the linking point between Ogliatra area and Supramonte. 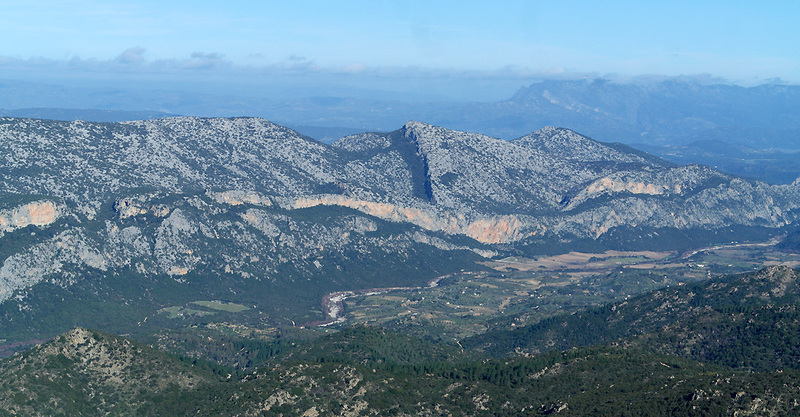 This is the highest climb of the day, starting from 900 a.s.l reaching 1250 a.s.l., without any traffic and a supernatural silence embracing those smooth mountains compared to the rough Supramonte. The toughest part it’s over, but we still have many kms to pedal, discovering some of the most interesting villages of inland Sardinia. Fonni, the highest village of the Island at 1000 mt a.sl. is the first, then we’ll stop in Mamoiada to enjoy a delicious snack featuring the local cannaonau wine. We’ll pass through Orgosolo with its murals, and from here to Oliena nestled at the footsteps of Supramonte along the winding old road sp22. Our adventure let us touching the Baronie area in the cute village of Galtelli, before our last challenge of the day up to monte Tuttavista then down and back to Dorgali. It has been very tough, but you made it!